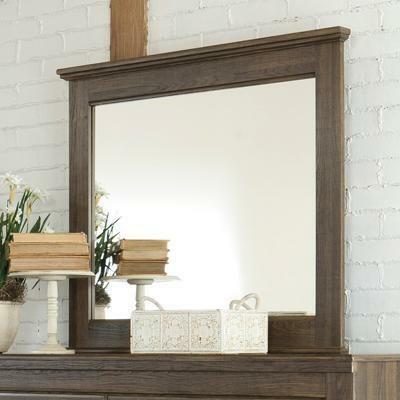 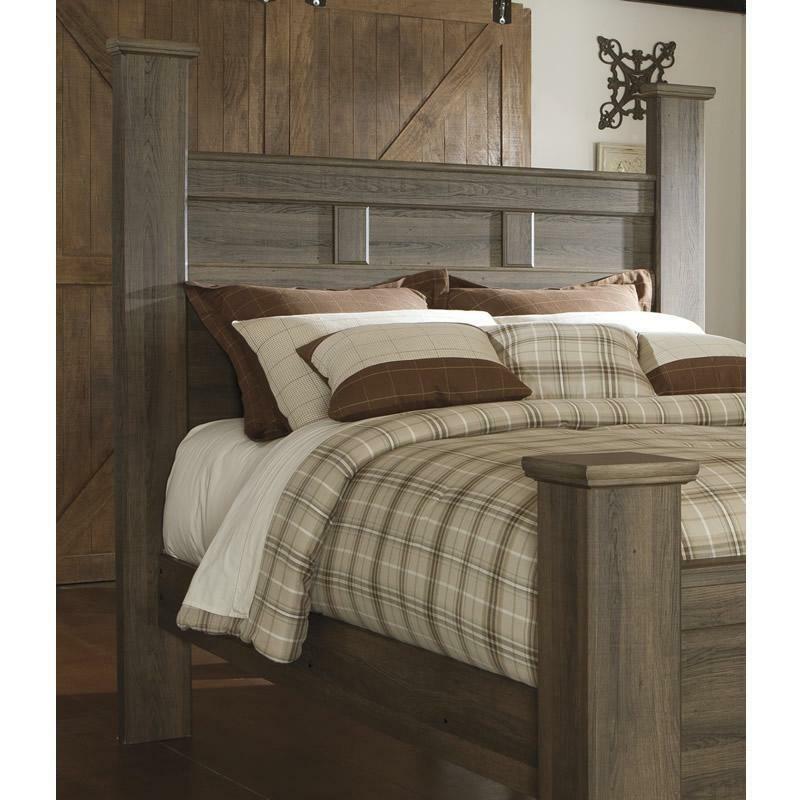 Get the look of posh barn wood without setting foot in a salvage yard. 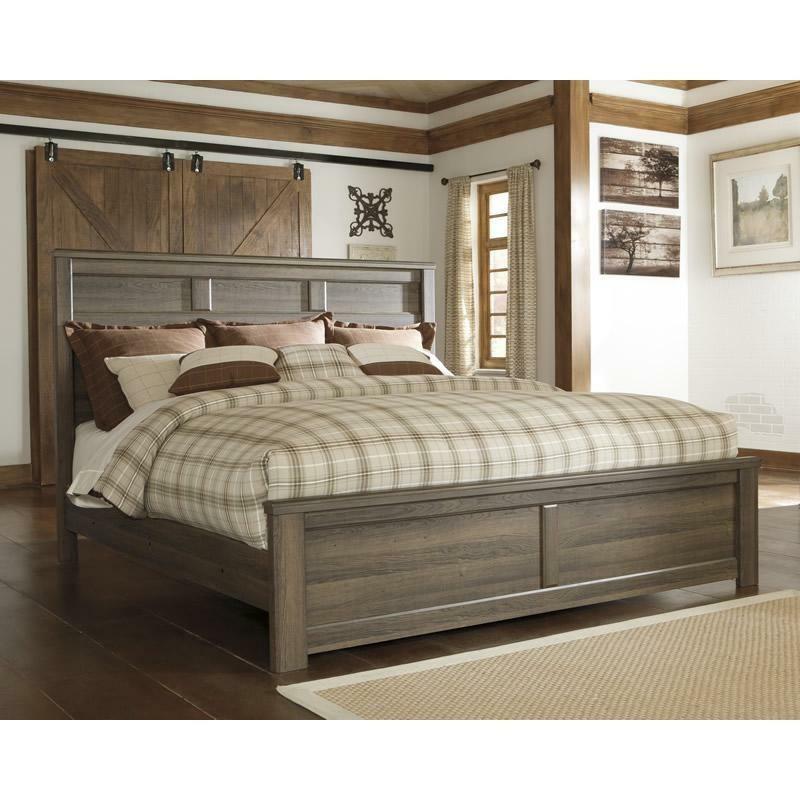 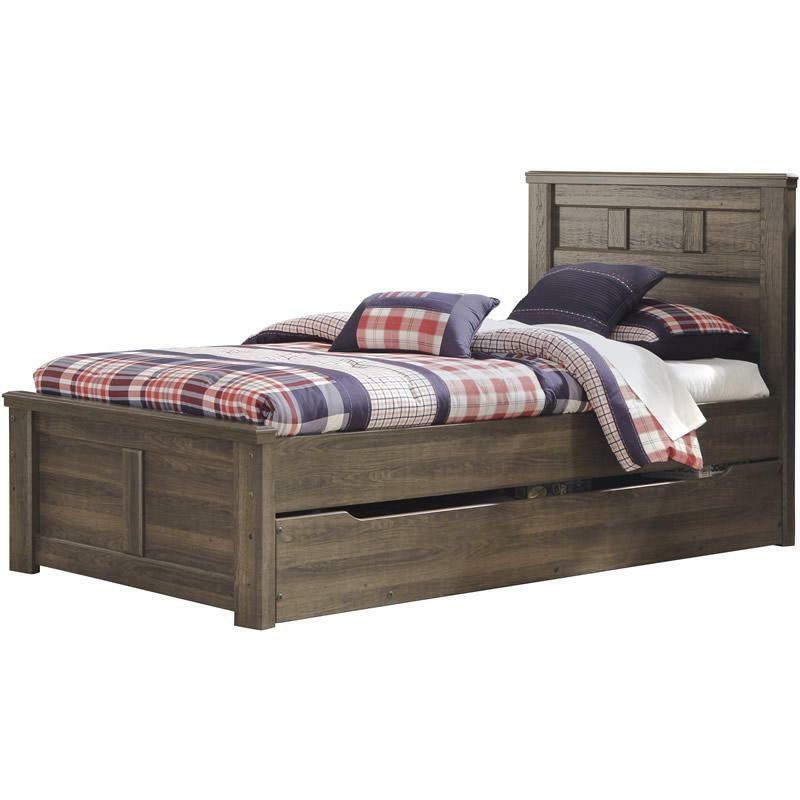 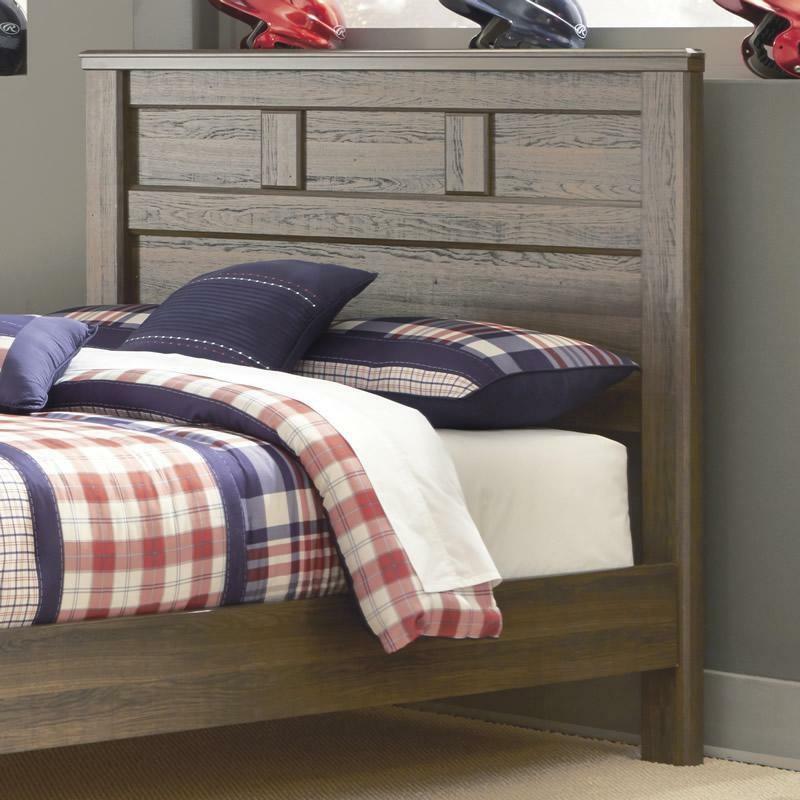 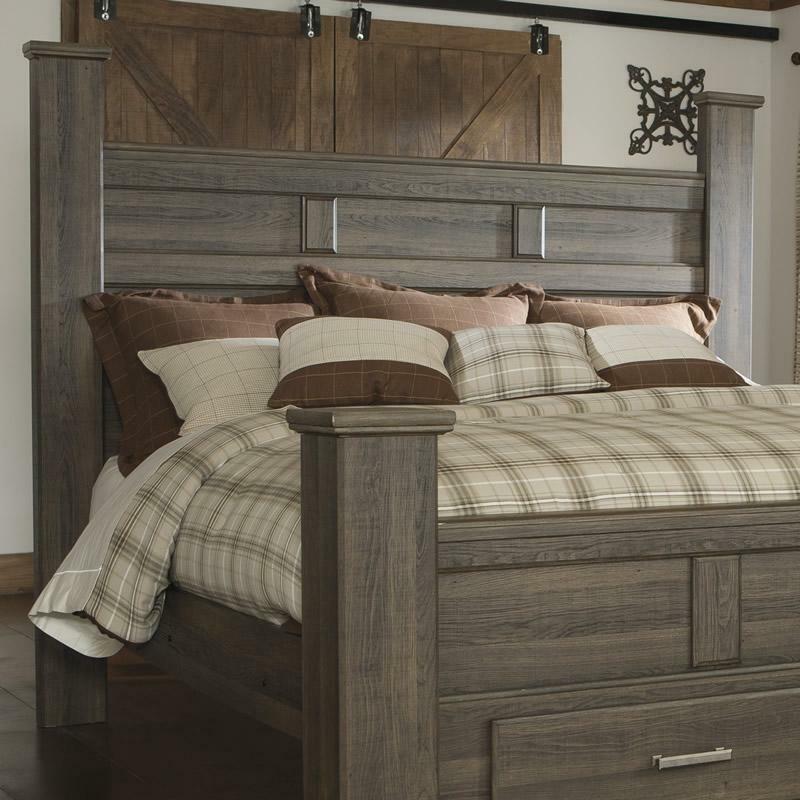 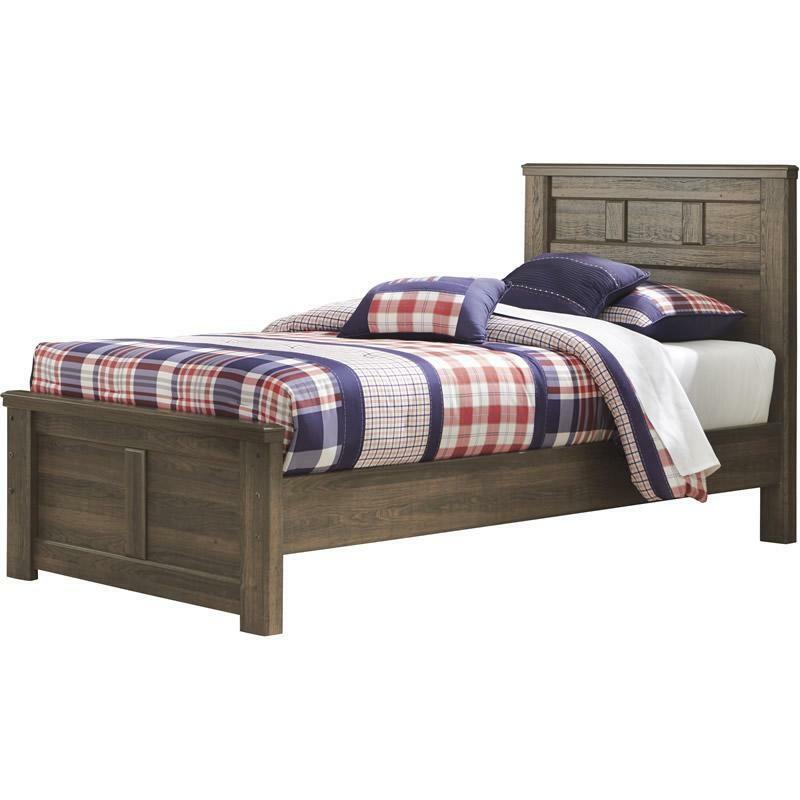 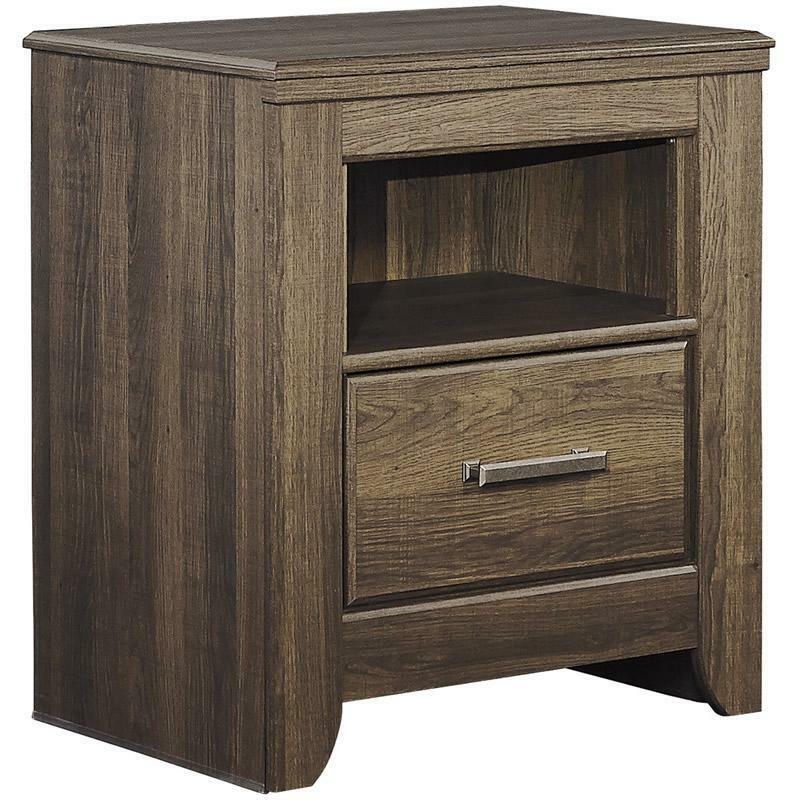 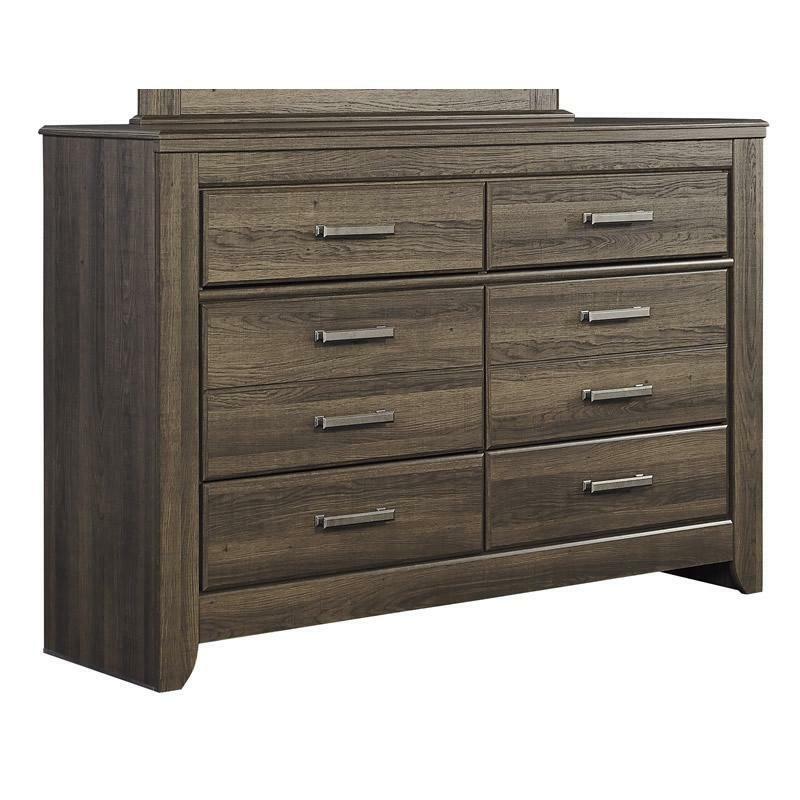 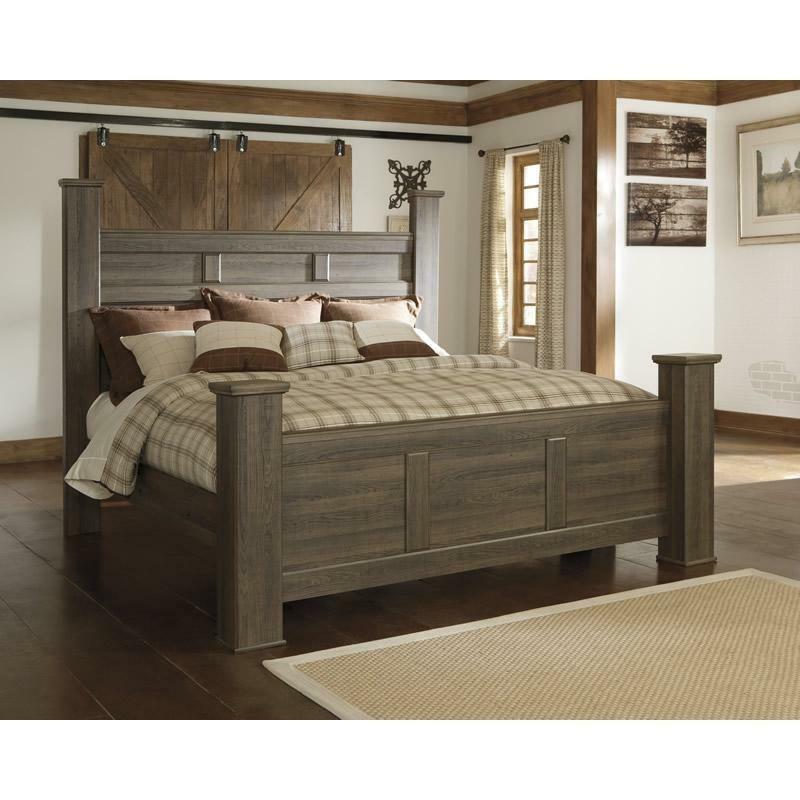 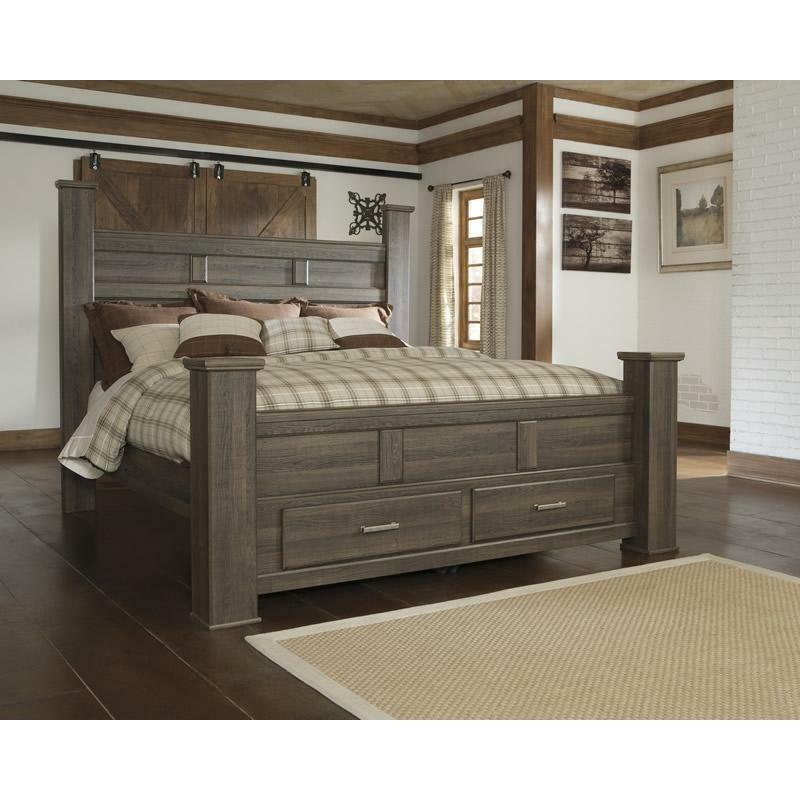 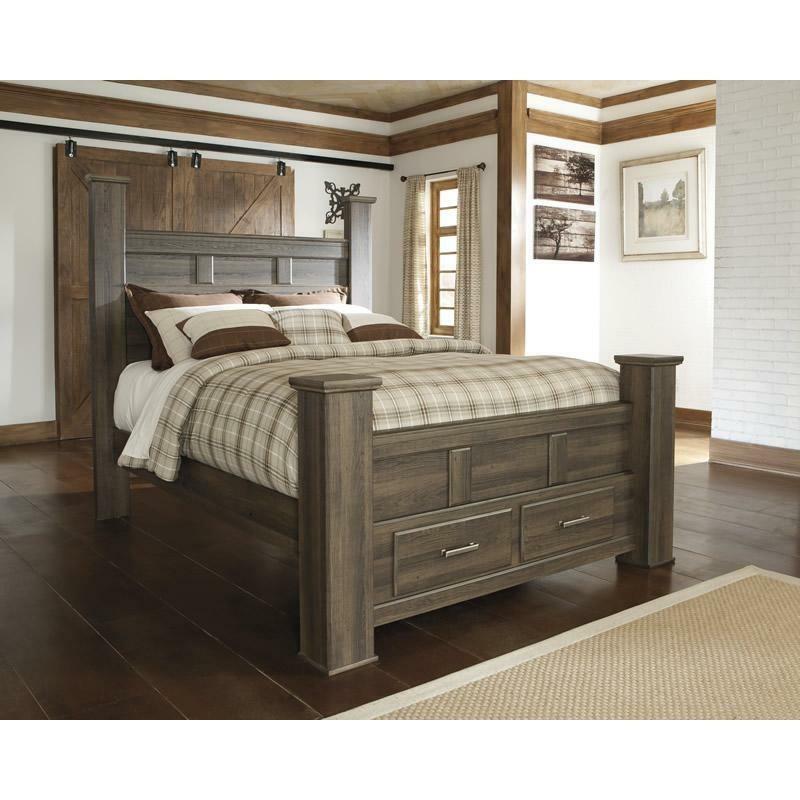 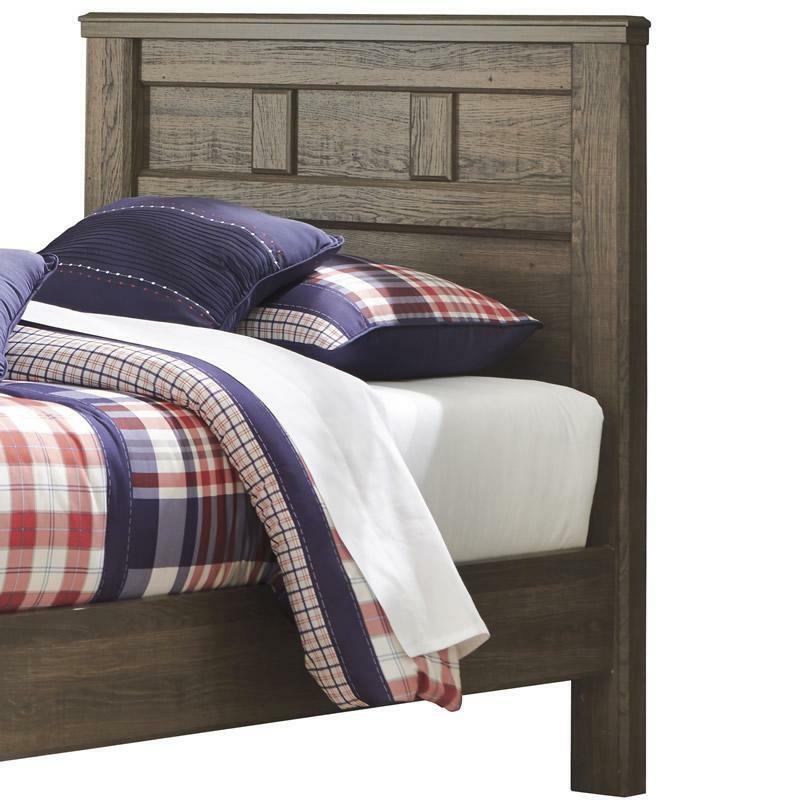 Replicated rough-sawn oak of the Signature Design Juararo california king panel bed has a vintage finish that is reminiscent of a timeworn family heirloom. 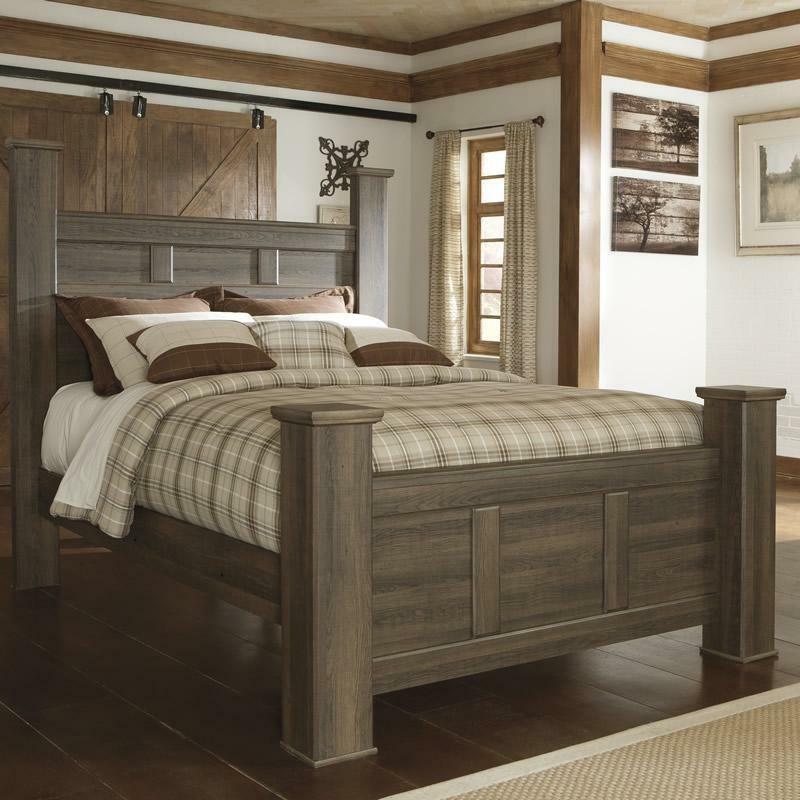 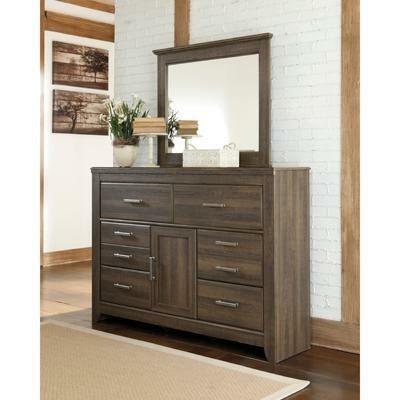 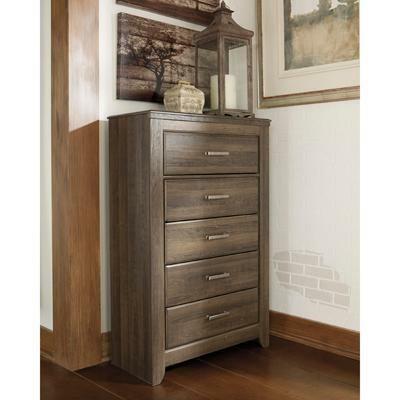 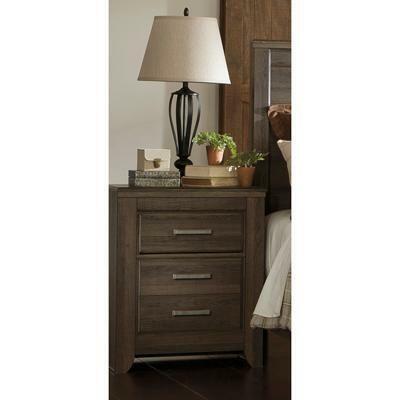 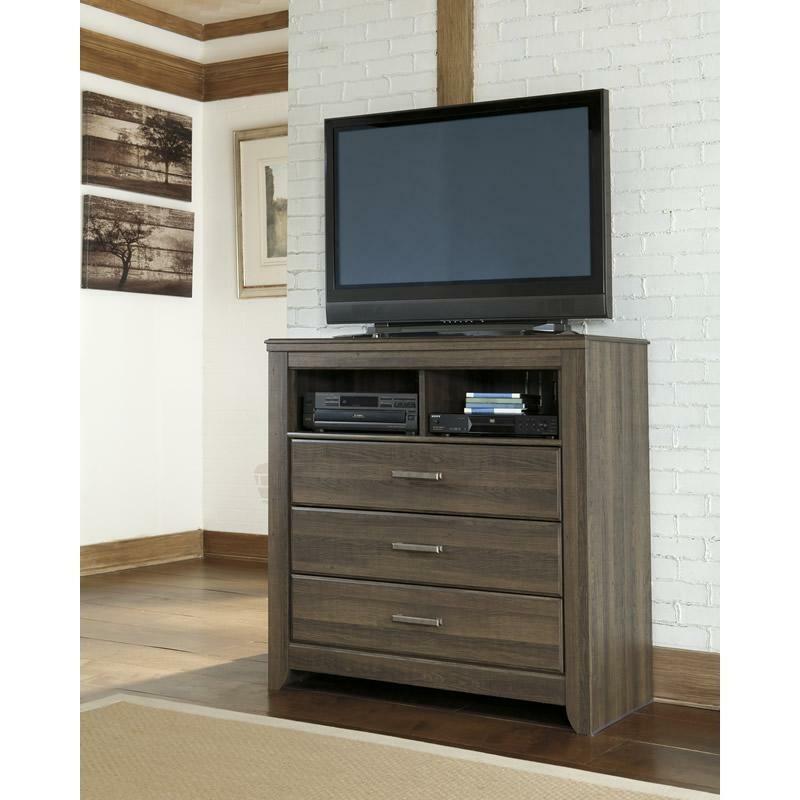 Warm, rustic and naturally beautiful, it's just got that ageless appeal.